Why have segregation and housing discrimination lasted so long? 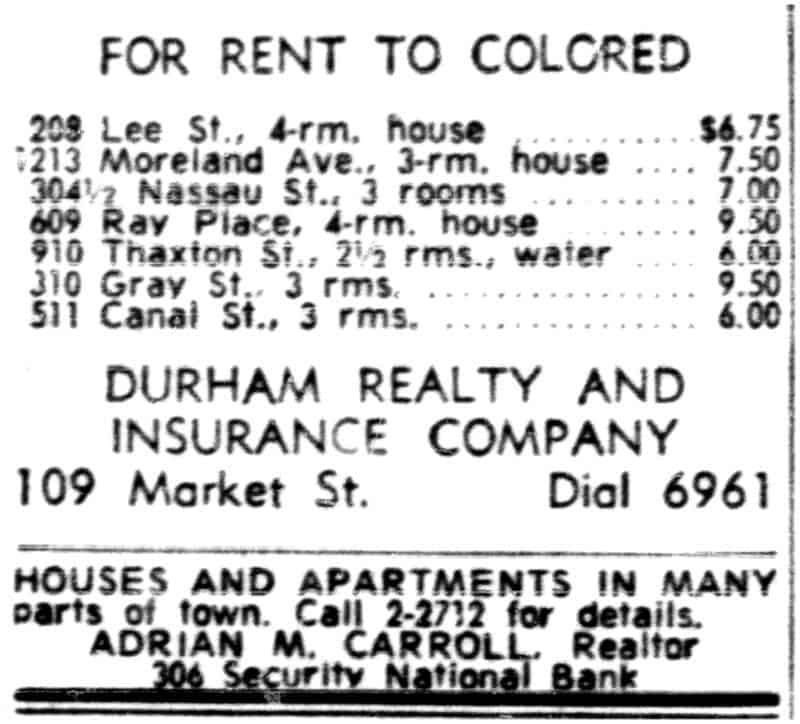 In the 20th century, individual prejudice, private industry, and government laws built invisible walls to maintain segregated housing in Durham. These walls were constructed with many tools: deed restrictions, suburban development, zoning laws, steering, real estate marketing, red-lining, and public housing. Together they created racial gaps in home ownership, wealth, security and mobility that persist today. This map shows where people of different races and ethnicities lived in Durham County in 2010. Where do you see “invisible walls”?